Everyone owns a pedal that sounds great but makes problems when switching it on and off. The reasons for this can be found in the “To popp or not to popp” knowledgbase-article. The other issue is the mechanical endurance of the switch itself. How long will it be a reliable thing when you are on stage? I have been through it and there is no simple solution for this! 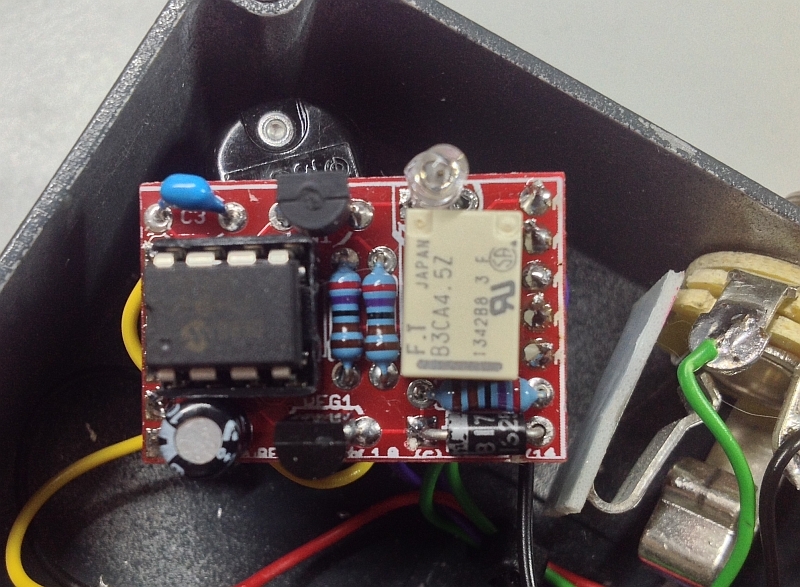 What you will find in this article is what I can currently offer to help you in modding an existing pedal or – if you build a new one – to overcome the known problems. A lot can be done by replacing the mechanical switch of true-bypass pedals with relay switches. 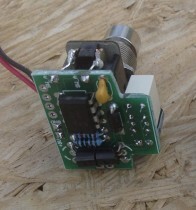 The relay will switch the signals while you can use a simple momentary switch to toggle it on and off. They are more reliable than the usual 3PDT switches and easier to press down. Why not mute the signal while switching it? The next step in switching directly attacks the popping noise through muting the signal for the duration of the switching which – in most cases – fully eliminates any popping noise. This is the best I have for you at the moment. The size allows to fit it in any existing pedal. Is a microcontroller really required? The size allows to fit it in any existing pedal.